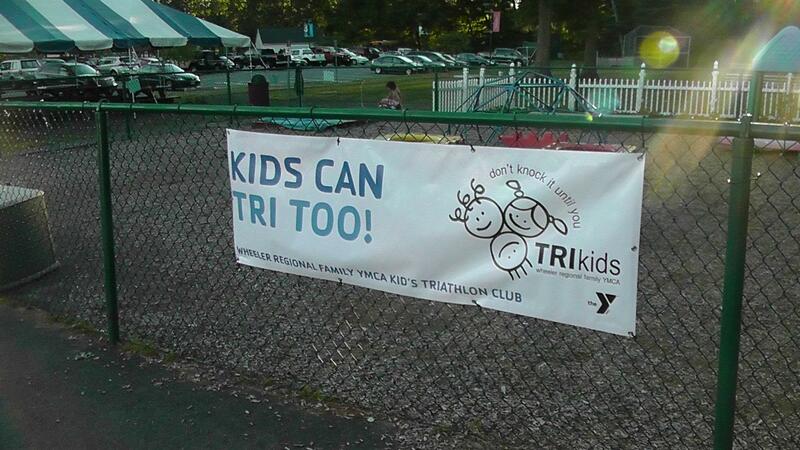 Last night we kicked off our very first Kids Tri Club! We had over 20 kids sign up from ages 5-13. I wanted to share part of an e-mail from Stacia, our tri club coordinator, and Diane, one of our BEST staff tri club volunteers. Thank you for letting me run this club and I think this is something that we could offer for the FALL’s first session with the temps still being comfortable. What do you think? So…what exactly does a Wellness Director do? I love the times I’m at social events, and people outside the Y ask me what I do for a living. I tell them I work at the Y and I am a Wellness Director. Almost every time, they say “cool…what’s that?” Typically I list a few of my responsibilities, brag about our LIVESTRONG program a little and tell them how much I love my job. What I don’t always tell them are the REALLY cool parts of my job. •	Led our LIVESTRONG group, and convinced 5 of them to climb the rock wall! NO day is ever the same, and most days I will leave work shaking my head saying “only at the Y…” That is part of what I LOVE about my job! I spent the morning out at camp yesterday and I was very surprised to see the staff dressed in togas. It was opening ceremonies and the theme was the Olympics. I walked in as a staff member was finishing up the National Anthem. Then each staff member came out and danced to a song. It was so great to see the staff dancing to the music. The kids got so pumped up watching this. 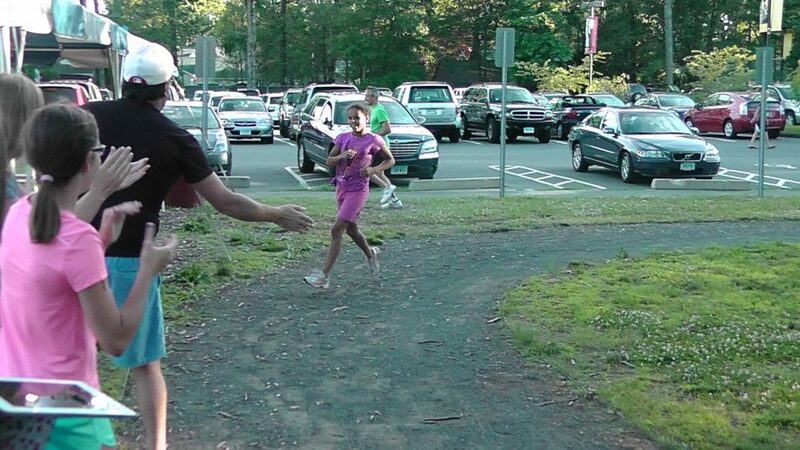 I found myself laughing at the staff and their willingness to act a little crazy to get the kids excited for camp. I left feeling so good that the first day of camp was off to a great start. 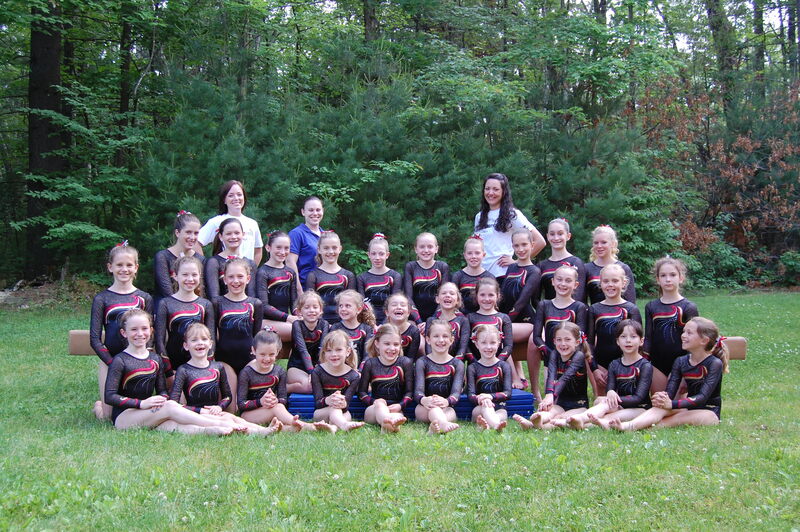 Good luck to those who will be competing at the National Level which will be held June 29 – July 3 in Milwaukee, Wisconsin. We’re at zero hour for camp this afternoon- everyone is getting ready to blow out Monday morning, and you can practically hear the hum of activity around our Association. By a miracle of good luck and amazing staffing, I’m sitting at my desk this afternoon taking care of some last-minute- but not urgent- things. Including hiring a couple of extra staff to support our growing camp enrollment. It’s 4:00 now, and I have 3 offer letters for 3 new staff. I can give them the great news this afternoon that we’d like to welcome them to our team, and I can get them on board and oriented to our camp program in plenty of time for our big mid-summer weeks of camp. I just finished up the paperwork for our returning/year-round camp staff- because our payroll guru Joyce Sypher answered a million phone calls (I ask A LOT of questions!) and sent plenty of emails to help our branch through the 2012 camp staff hiring process. Those returning/year-round staff found this year’s process simple and straightforward, and are home relaxing right now, ready for our big first day. I’m not sure how they do it, and without our HR department working so hard behind the scenes, we wouldn’t be able to do the fun stuff at camp all summer. I’m feeling pretty appreciative right now! Are they ready? Do they understand what is at stake? I just came from a Camp Counselor training. Let me first say that I love camp…it is what got me into the YMCA, as I began my “career” as a camp counselor. The camp experience forever changed my life. Today, as I gave my portion of the camp training, complete with my “cow hat” and camp songs, I couldn’t help but wonder; “Do they really get it?” I could see the spark in many of the counselors eyes….but then there were some that seemed to be “clocking it in”. For some, they get it, for others it is just a summer job. Maybe I’m just getting old, but I have no patience for “cool counselors”. Those are the counselors who think that they will inspire kids just by being “cool”, not through the creatvity, zanyness and passion that makes a truly impactful counselor. So, with all that is at stake (the opportunity to be that “caring adult” in the presence of every child), I have impressed upon my Camp Director to only accept the best. We can’t afford to have a counselor “clocking it in” this summer. Let’s be sure that our camp staff is ready, and understand what is at stake. Today marks the last day of public school here in East Hartford. On my drive in to the office today, I was thinking back over the past year about our school age programs, and if we met the goals we set out in our CEO’s iconic vision. We were the caring adults during Y Days when some children didn’t have the luxury of spending a week at home with mom and dad at the holidays. We were the pioneers of collaboration within our community and formed close bonds with the elementary schools that house our school age programs. We spent the year actively engaging the children in our program, encouraging physical activity and offering nutritious snacks each day. I believe we were highly successful in meeting the standards our Assocation has set forth in front of us, and I believe we will continue to strengthen our community and the children we serve. We will now move our goals to the Camp Nowashe setting and spend the summer inspiring greatness in our youth. Mr. Jeff is our Site Director at Hopewell School. He also teaches almost all of our youth sports programs. Yesterday at our Kids to Camp golf tournament, Jen Rizzotti, former UCONN player and current University of Hartford women’s basketball coach, spoke about Mr. Jeff and how she does not know what she is going to do without him when he moves back to Michigan next month. Her kids love Mr. Jeff and so does she. It was so great for her to recognize him for his enthusiasm and his ability to work with kids. 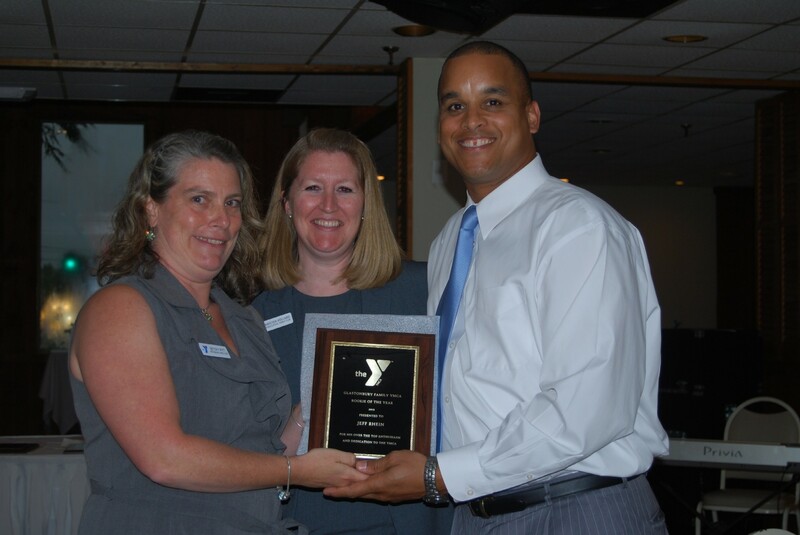 Jeff was recently honored at our Annual Meeting as our Rising Star of our branch. We will greatly miss Mr. Jeff and as Jen Rizzotti stated “we don’t know what we are going to do without him,” we feel the same way. Mr. Jeff accepting his Rising Star award at our Annual Meeting. There is power in a name. Just think, ever since you were born people have been using it to name and define you. It is so powerful that your brain can hear it being called across a crowded room. As each member scanned in, they were instructed to use a sharpie and write their name on a name tag and wear it through their workout. Everyone did it! Members wore them on all different places and some wrote comical names, but everyone participated willingly and had fun at that! There was a different buzz and vibe in the air; it was refreshing!!! Members were telling the wellness and welcome desk staff that they had always wondered what so and so’s name was and how great it was that they now knew. Many mentioned how it was easier to start-up a conversation with someone who they have seen everyday for years but had never directly spoken to before! All because of a name tag! The Tri-Town cell phone has been ringing A LOT lately- school is ending, camp is beginning, and the weather forecast keeps calling for rain in the middle of our sports programs. So the other night, when the phone rang at 7:45 PM, I took a long breath before answering. The number looked familiar- a grandmother had called our office earlier in the day to ask about joining swimming lessons, and I had left a voicemail message a few hours later. 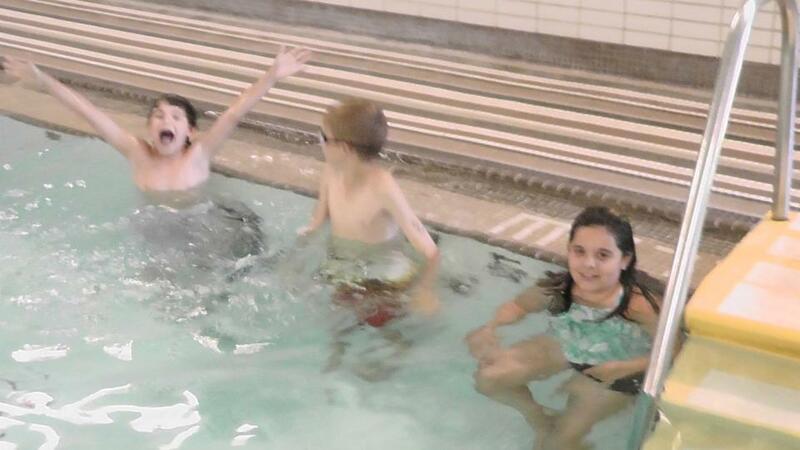 The family hadn’t started lessons yet, and had asked our office staff if they could join mid-session, so I knew the call wasn’t an emergency- and I didn’t really expect to get a call just before I tucked my kids into bed that night! I answered, because I was pretty sure that anyone calling at that hour REALLY wanted to talk. We spent a few minutes talking about the logistics- how many lessons were left in this session, if we had a spot in the right class and when the next session started- and then she mentioned that her granddaughter had enjoyed swimming lessons for a few years, but that she’d had a scare during her last swim class and had been refusing to swim ever since. We talked a little bit about that experience- the grandmother shared that an instructor in a different program had “pushed” her granddaughter too hard and she had “swallowed” a big mouthful of water. After that class, the family had tried a session of classes with Mr. Ralfy at Tri-Town. It wasn’t very successful- her granddaughter still didn’t want to get her face wet. They took a break for a little while after that, but they’re feeling ready to start again. I’m so glad that I answered the phone that night- I’m sure that we could have answered all of her questions the next day, but I know that there would have been lots of other distractions, too. Now we know the story, and I can share it with Mr. Ralfy (when he gets back from his well-deserved vacation!). He’s legendary among our swim families for his ability to convince hesitant swimmers to try “Just once!”, and I know that he’ll help this little swimmer feel safe again- just in time for some fun summer swimming!